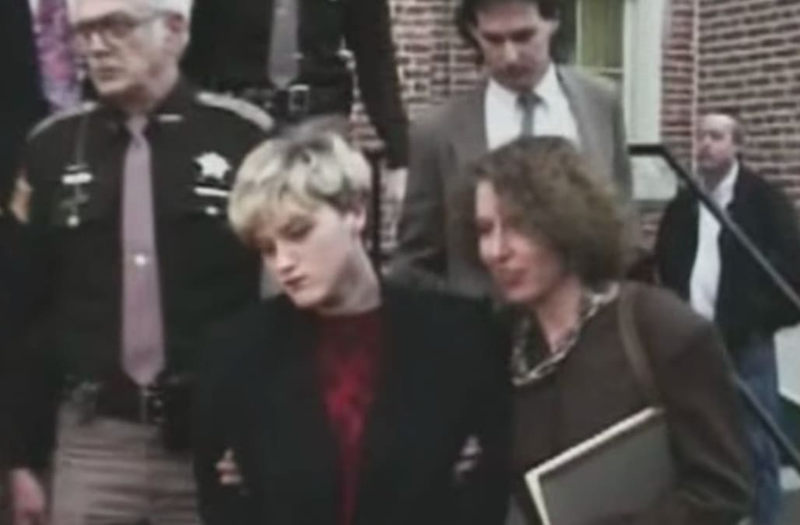 Laurie Tackett was sentenced to 60 years in prison for the 1992 murder of a 12-year-old girl named Shanda Sharer. The 43-year-old woman from southern Indiana is now set to be released from prison after serving less than half of that sentence. FOX 59 details the crime that landed Tackett in prison 26 years ago. Then 17 years old, Tackett and three other girls plotted to harm Sharer over a stolen girlfriend — Melinda Loveless, who was 16 at the time, is believed to be the mastermind behind the plot. Once there, her limbs were bound and she was taunted, beaten, stabbed, and strangled with a rope. Her body was thrown into the trunk of the car when they believed her dead. When she began to scream from the trunk, Tackett stabbed her a few more times. She made a few more noises later and was attacked by Tackett again, this time with a tire iron. Tackett and Loveless dumped Sharer’s body, poured gasoline on her and set her on fire. Investigators, who found her the next day, argued that she was still alive when they burned her. All four involved were tried as adults. Two have been released so far; Lawrence in 2000 and Rippey in 2006. Loveless is the final person to be released and will potentially walk out of prison in 2019. The brutal attack received national attention at the time.